Best cookies EVER! 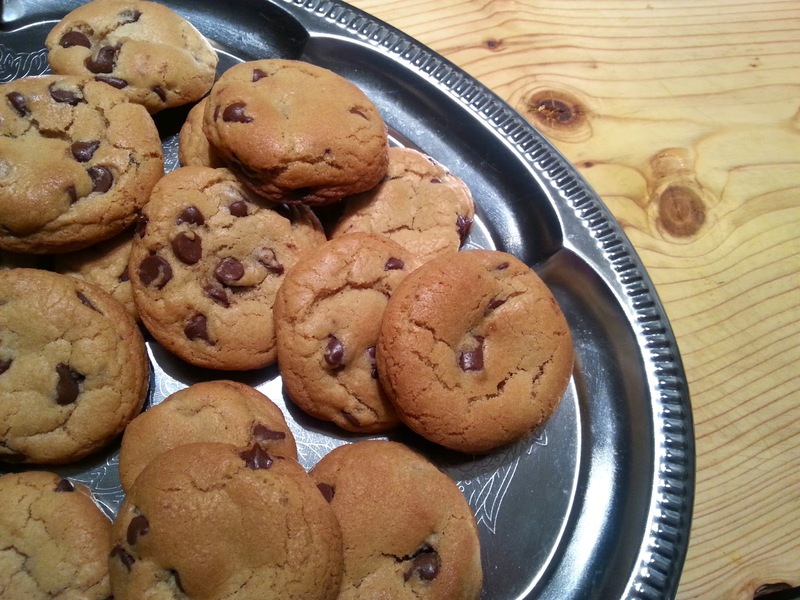 | A Hint of Rose: Best cookies EVER! My boyfriend and I, we love cookies! So last week, I decided to make some for my coworkers, to bring a bit of comfort during the rush of the holiday season. I did some research on the internet and I chose this recipe from the site Ricardocuisine.com. This recipe is super simple! The preparation is really fast, but you must wait for at least an hour before putting them into the oven. The result is amazing! My coworkers ate a big box in a blink, and gave me a lot of compliments! - 7 ounces of chocolate chips (or chopped chocolate). 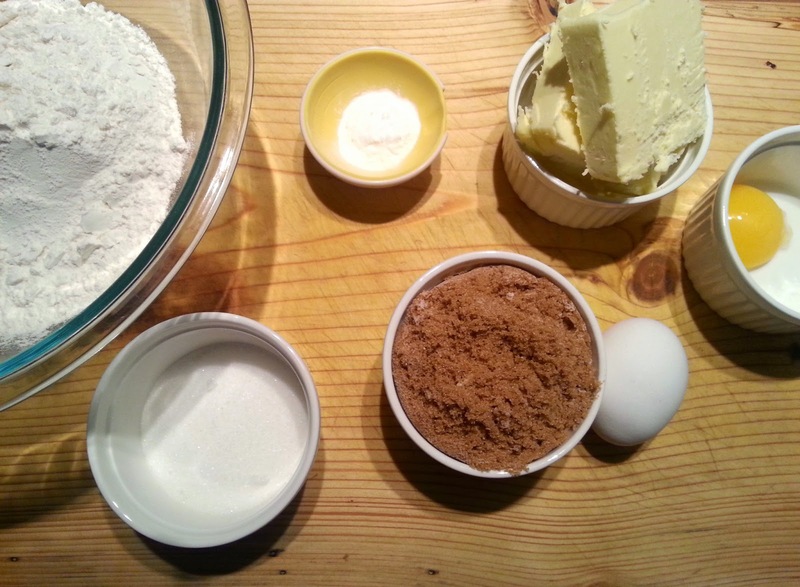 - Mix the flour, the baking soda and the salt in a bowl and set aside. - In another bowl, with a wooden spoon, mix the butter, the brown sugar and the white sugar. - Add the egg and the egg yolk, and mix until the preparation becomes smooth. 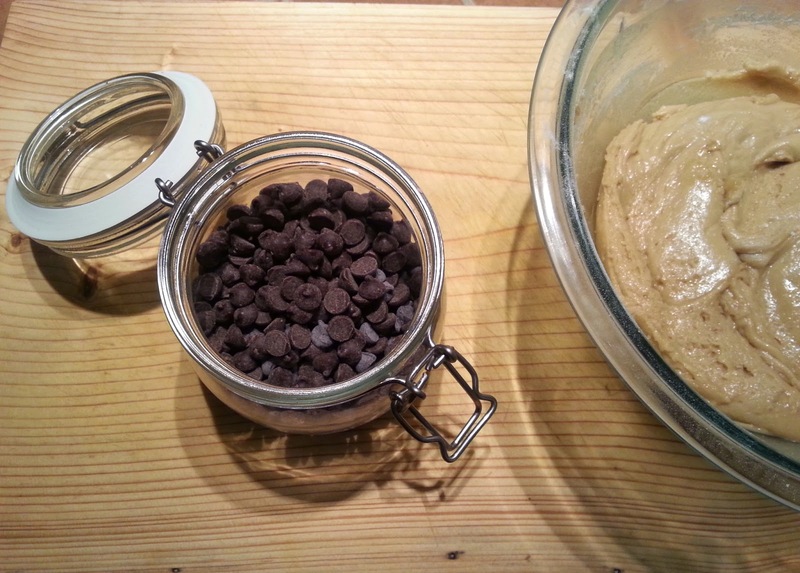 - Gradually add the dry ingredients, and the chocolate. - Cover and refrigerate for at least an hour (overnight is better). - Place the rack in the center of the oven and preheat to 375 °F. 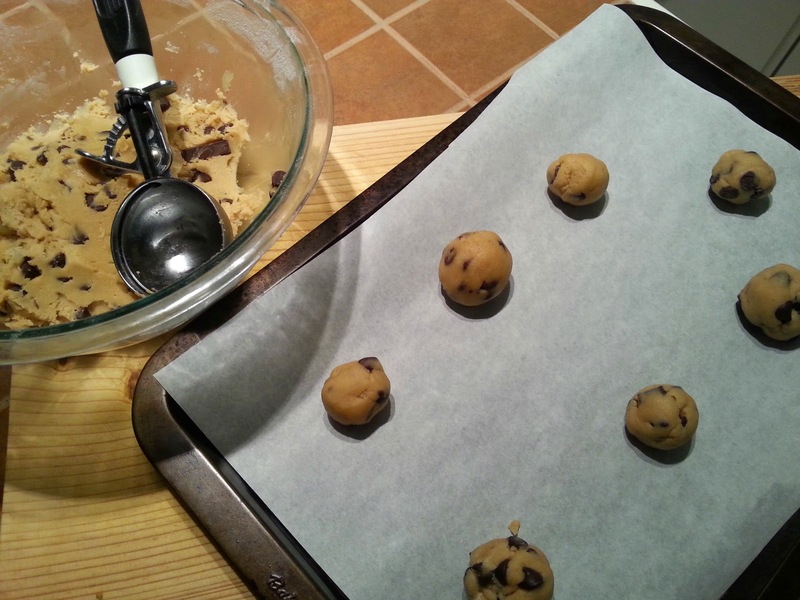 - On a cookie sheet lined with parchment paper, and using an ice cream scoop, form small balls of dough. Tip : To make more rustics cookies, leave the ball irregular, but if you want more uniform cookies, roll the dough between your hands to form little balls. - Put five to six balls of dough on the cookie sheet, leaving enough space between them because the dough spread while cooking. 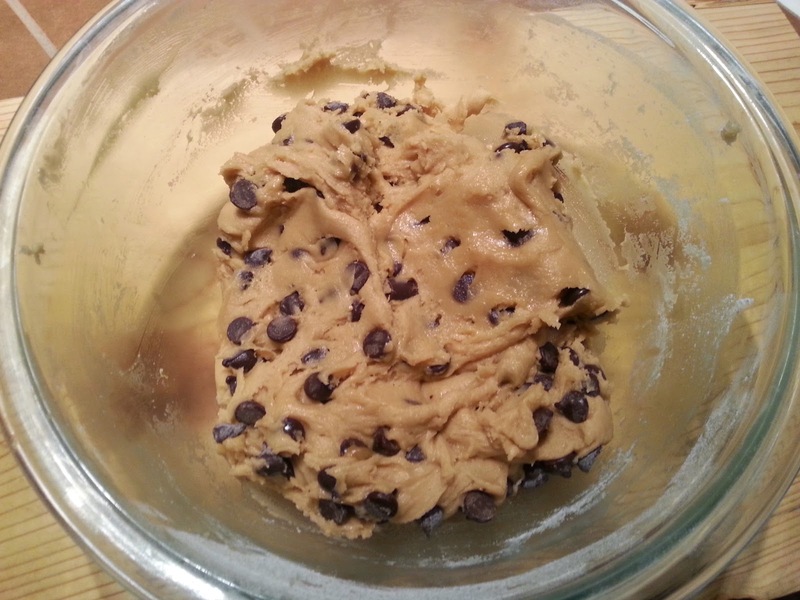 - Bake for nine minutes, or until cookies are nicely browned and soft. - Let them cool down and then ENJOY!